Panasonic has announced the launch of its new rugged 14.1MP digital camera, named as Panasonic LUMIX DMC-TS2, which features HD video recording capability in AVCHD Lite format and enhanced toughness (compared with LUMIX TS1) – waterproof to 33 feet (10 meters), shockproof to 10 feet (2 meters) and dustproof, as well as freezeproof to 14° F (-10° C), ideal for extreme active outdoor use. 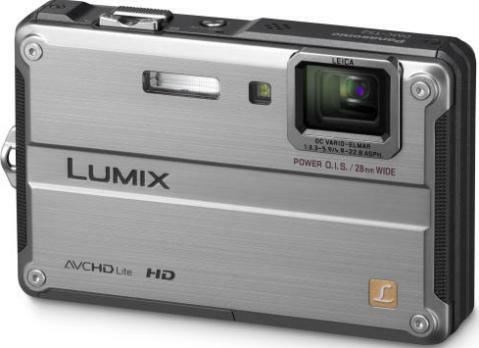 Panasonic LUMIX DMC-TS2 rugged digital camera will be available in 4 variants of colour – silver, blue, orange and yellow, but the price and launch date of LUMIX TS2 have yet to be announced. UPDATE: Panasonic LUMIX TS2 is scheduled to be available in mid-March 2010 for around $400.